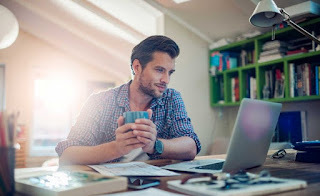 Working from home has become a regular part of the American business landscape, and there are an abundance of books and articles dealing with how to establish an efficient work practice from where you live. Few however have provided effective guidance for successfully working from home when Godzilla attacks. That is, few until now. The cardinal rule for working from home or apartment is of course to set up a separate area for sleep and a separate area for work. Godzilla doesn't care about this, but a healthy body does. So make sure to do it! Once your home office is established, you must be continuously prepared for the possibility that Godzilla may attack and disrupt your daily workflow. Get in the habit of watching the local news regularly; the distractingly attractive weather and/or traffic person in the morning will often provide tri-state Godzilla sightings and updates. Another excellent source of information is www.GodzillaOnTheGo.com, which tracks the giant lizard around the world and even features Anderson Cooper reporting evenings at 11:00. Check level of Oxygen Destroying Tablets. Organize survivors into cave-dwelling foraging community to begin civilization anew (if applicable). Another important rule: Always stay in close contact with your corporate office throughout the day. This helps you to remain perceived as a regular and essential part of the ongoing conduct of business despite your working remotely, and also facilitates your cries for help being readily heard by co-workers should Godzilla be chewing on your internal organs at the moment. If you are skyping with co-workers at the corporate office and you hear anguished screams and see jetties of blood spurting across your computer monitor, it’s likely the corporate office has been demolished and your co-workers digested or decapitated. Check with any other locations of the company to see if colleagues are available there to pick up the slack and work remotely with you on current projects. Even when you have a very busy schedule and/or Godzilla is slamming down buildings one or two blocks away, it is important to take regular breaks. Go out and meet a friend, take a nice walk, or give badly-needed blood at the nearest makeshift clinic. A bit of me-time will help you fight off the kind of afternoon letdown that makes you want to nap. And fire-breathing behemoth massacring hundreds of people or not, succumbing to a nap can be a notorious time waster. What do you do if Godzilla should poke his face right into the window where you are working? 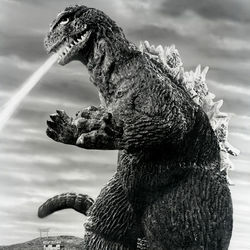 Plan A: Sometimes Godzilla actually turns out to be a man in a lizard suit. Look for a zipper around his neck and if you find it, try to unzip it. By now U.S. Air Force jets have hopefully blasted Godzilla back into the sea, so with a bit of perseverance you may make up any time lost and still wrap up by 5:00 or 5:30. Once you have neatly crossed every item off your to-do list, sign off for the day, pack up all your equipment and devices and head home at last. Assuming there is a home to head home to.